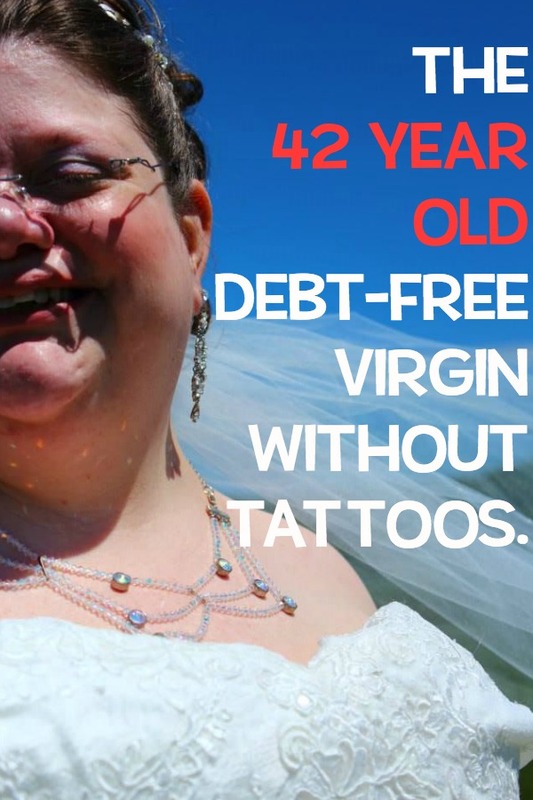 Books, Bargains, Blessings: The Debt Free Virgin Without Tattoos who Married at age 42. The Debt Free Virgin Without Tattoos who Married at age 42. With all the talk about the post "Men Prefer Debt Free Virgins Without Tattoos", I think it's appropriate to tell my story -- a story not often heard of the consequences of purity culture. I grew up in a church that allowed dating (although no dancing, but we had great times at non-dancing activities.) I spent two years at a college of my denomination, dates were allowed, and I still have good friends from that time in my life. I believed that I would someday be able to marry this man, so for the next couple of years, I didn't even think about marriage. I continued writing love letters to my unknown husband in my Wait For Me Journal by Rebecca St. James. I apologized constantly in that to my future husband. My sin? Having debt. I even said I was working to get myself prepared for him and trying as hard as possible to get out of debt. It made me so stressed that I had student loans. I was debt free by 2006. Not only that, but my dad passed away that year, but he had left me a small amount of life insurance, so I had money in the bank. I was 33. Single. No prospects of marriage. Let's go back to when I was 16 for a minute. I graduated high school two months before I turned sixteen, so I was a very, very, young freshman in college. I remember my Intro to College Life class that was required of all freshman. One day we were in small groups, talking about future hopes, dreams, and plans we had. I said I hoped to adopt children someday and homeschool. (This was before most people had heard of homeschooling!) I also said I was feeling called to be either to be a missionary wife or possibly a pastor's wife. One friend looked at me and asked, "Did you ever think that YOU might be the one called to be a missionary". Even thought I had been attending that denomination for several years, the fact they would ordain women -- and had since the denomination was founded -- was still something that made me a little uncomfortable. I look back, and I wish I had listened to him. I had no idea I would spend the next 26 years "perfecting" myself for a man. During those years, I learned to work at home. I began selling on eBay in 1998, and currently have over 1,000 items in my eBay Store. I became a coupon queen before it was cool. In the 90s, I was often having great days at the supermarket. At one point I had a cash register receipt taller than me, and paid under $100 for everything. (In fact, that receipt wrapped around my body three times and was STILL taller than me.) I have done gig work, blogging, online selling, designing T-Shirts for sale on Amazon, plus nearly any other thing you can think of that makes money from the computer. I also began entering Sweepstakes, Contests, and Giveaways. Some of my prizes from that have allowed me to see parts of the world I otherwise wouldn't have been able to visit. I also won $15,000 with a photo I took some years ago. 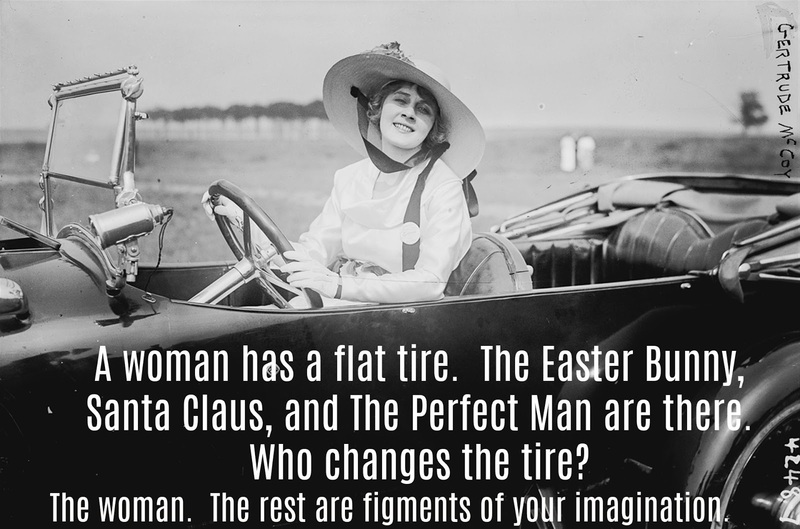 I don't see this as a hating on men joke as there are no perfect people. Not even me. I get frustrated. A couple of times I have made the huge mistake of mixing up mailing labels and sending eBay customers the wrong item. 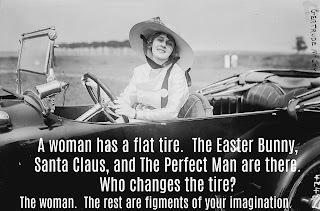 So why was I trying to become a perfect Stepford Wife? I was reading books like Preparing To Be A Helpmeet: A Good Marriage Starts Long Before the Wedding in my 30s -- a book that was written for teens. What do I regret? Doing things with the focus on a man and not for ME. I wish I would have more focuses on a degree that would have prepared me for a career. (I got a general studies degree.) There are so many things I think I would have done well. I still regret not going into ministry. I knew I enjoyed teaching English as a Second Language, but I still have yet to get my TESOL certification. I do want to -- you can even teach English online these days. I didn't care about my grades in college as much as I should have. I never expected to go to grad school. I applied to grad school, and my English GRE score was higher than what many going into grad school in English receive. Yet, because I wasn't going into English, my GRE scores were not enough to make up for my grades in college. I know I would have been great in International Relations. Here I am, 45, married, and wishing I had more education -- or at least concentrated on a more specific area in education. Finances right now don't allow for it. That's not to say that the last 29 years since I started college have been a waste. I have seen, experienced, and participated in amazing things. On July 1, 1997 walking onto the balcony of my flat in Asia and being able to hear the fireworks from the celebration of Hong Kong being brought back under Chinese rule is truly a once in a lifetime experience. I've been published in Chicken Soup for the Soul -- Messages from Heaven. I had one story in the book, and my mother had two. As for tattoos, I sometimes think I would like one, but I'm too cheap. If I were to get a tattoo, I would get one of a semi-colon. If you aren't aware of what the semi-colon means, it is a sign that live isn't over yet. You can still make something of life. You can read more about it on http://www.semicolontattoo.com/ Yet, not having a semi-colon tattoo didn't make me more attractive to men. I'm back in the denomination I grew up in that treats women as equals. It is so freeing, yet makes me sad that I got away from that. I wonder what I could have been if I hadn't bought into purity culture and that I was hoping that my holiness would be attractive to a man. At least now, I don't feel like I am less than a man. And I have years yet to do what I want to do -- with the support of my husband, as he wants me to be all I can be.